Fire Departments NFPA 1851 - Arizona PPE Recon, Inc.
About Arizona PPE Recon, Inc.
Arizona PPE Recon, Inc. was established in 2016 in Tempe, Arizona by founders Scott and DeAnna Petersen, a husband and wife team with a vision to see an opportunity to develop an organization that helps Fire Departments implement NFPA 1851, thus helping Departments mitigate the threat of cancer. 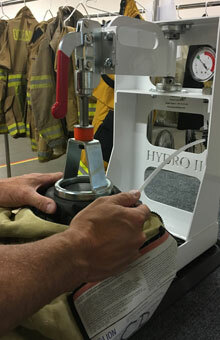 Having siblings in the Fire Service, Scott and DeAnna have a personal vested interest in providing a program for the cleaning and repair of Fire Department personal protective equipment (PPE) that removes harmful hydrocarbons and soils resulting from fires and chemical spills. 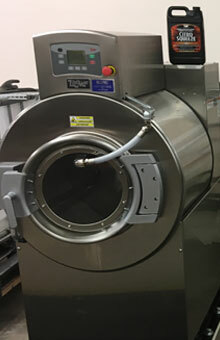 Why Arizona PPE Recon, Inc.
For both health and safety reasons of the firefighter, it is critical that carcinogenic hydrocarbon, grease and soot be removed from firefighter PPE to help mitigate personnel from getting cancer. 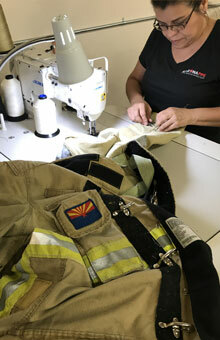 Let Arizona PPE Recon, Inc., a third party verified company by Intertek for performing advanced inspection and repairs on firefighting garments, help keep your most important asset healthy! Arizona PPE Recon, Inc. will also be involved in offering educational and training classes to Fire personnel to help them implement and adhere to NFPA 1851 guidelines, thus also encouraging them to be part of the solution in their health and safety.